A baby was allegedly bitten by the bed bugs on the Newark-Mumbai flight, leaving the other passengers agitated and delaying the flight’s onward journey to Delhi. 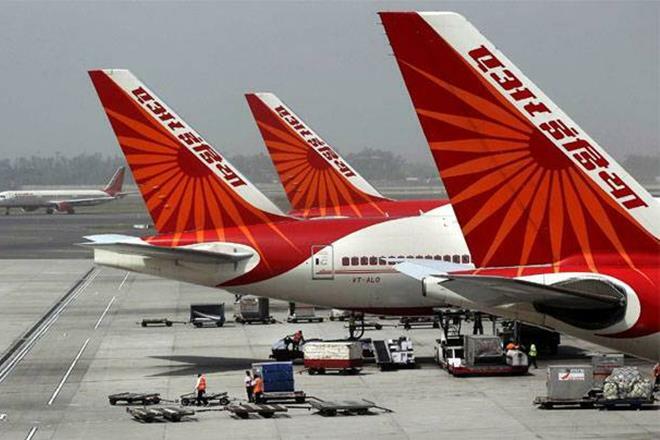 NEW DELHI: After a rodent, bedbugs allegedly infested Air India’s overseas flights as passengers in business class of Mumbai-bound aircraft from the US this week complained of the crawling insects which also bit an infant. Yesterday, sources said a baby was allegedly bitten by the bed bugs on the Newark-Mumbai flight, leaving the other passengers agitated and delaying the flight’s onward journey to Delhi. Passengers of a flight on Tuesday from the US to Mumbai also allegedly had this unpleasant experience, and one of them tweeted about his ordeal. “Just arrived from New York on Air India 144 business class with family. All our seats infested with bed bugs. Sir, have heard of bed bugs on trains but shocked to experience on our maharaja and that too business,” Pravin Tonsekar tweeted and tagged the airline and the Civil Aviation Minister Suresh Prabhu. In a second tweet, he said that his “wife and daughters had to suffer half of the journey sitting in economy seats with broken tables and inoperative TV”. “We are sorry to hear this, Mr Pravin. Sharing the details with our maintenance team for corrective measures in this regard,” the airline tweeted in its reply. A comment from the Air India spokesperson was awaited. In August last year, a rat was spotted on Air India’s Delhi-San Francisco flight, one of the longest haul flights in the world, forcing the flight to depart after a nine-hour delay. Over 200 passengers were onboard. After taking the aircraft to the parking bay, it was fumigated and this exercise took about six hours.